Wild Wellington south coast. 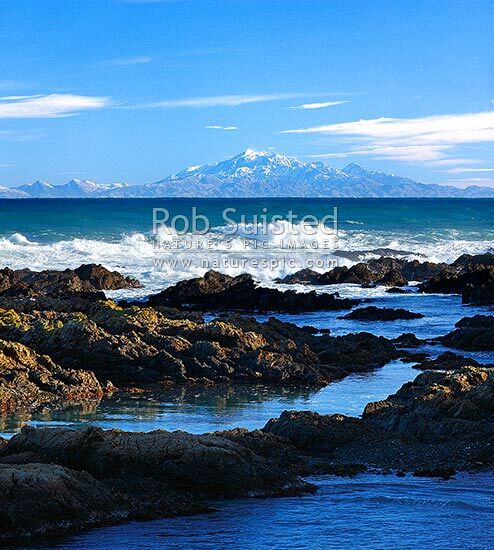 Waves rolling in from Cook Strait with snow covered Inland Kaikoura Mountain Ranges beyond. Rockpools in foreground, Wellington, Wellington City District, Wellington Region, New Zealand (NZ), stock photo.